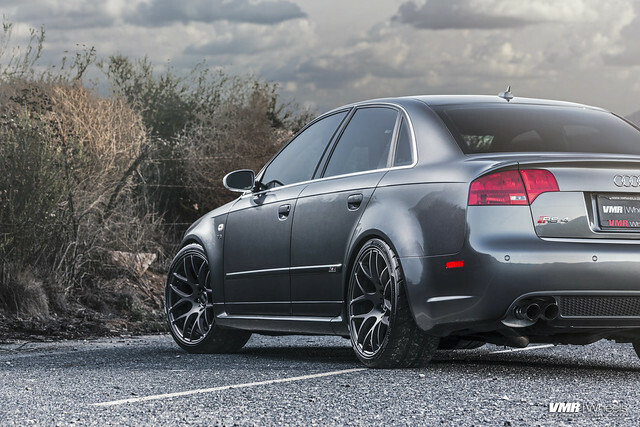 We love rare Audis and the B7 RS4 is definitely one of our favorite cars that the German automaker has ever produced. 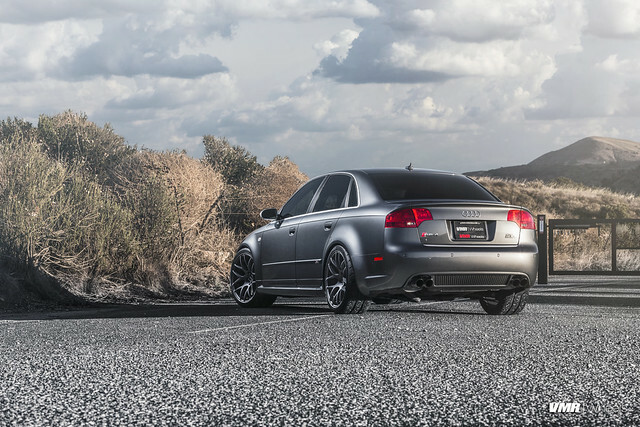 With what’s essentially a factory widebody kit and with a limited production of approximately 10,000 units worldwide, 2,000 of which made it to the USA, the B7 RS4 is quite a rare breed of car on the US streets. 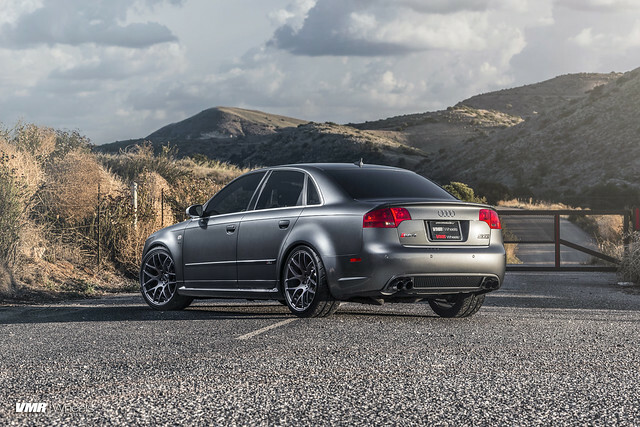 One of these 2000 units was local to us and interested in running a set of VMR Wheels to help his car stand out from the pack and augment the vehicle’s styling. 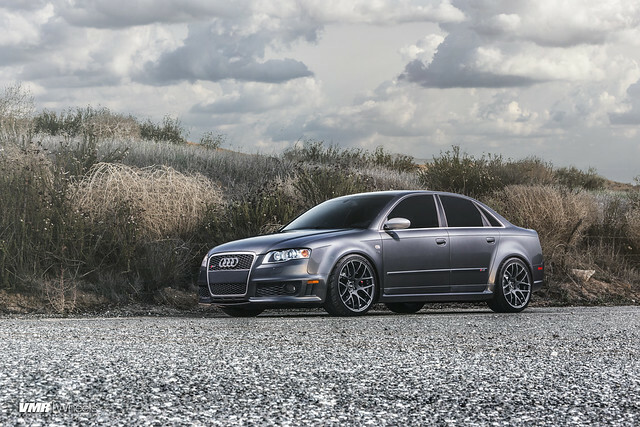 The wheels of choice were a set of flow formed 19″ V710FF’s finished in Matte Graphite. With the use of our in-house custom machining program, an appropriate offset was chosen to allow for proper brake clearance as well as an aggressive fit. Constructed using flow-formed technology, these wheels are an optimal choice for the street and track, very fitting for this high performance machine. The classic mesh spoke design of the wheel adds the perfect touch of aggressiveness, while the matte graphite finish allows the RS4 to maintain a sense of class and timelessness. We tip our hats once again to this beautiful machine!